When you open a node in Detail View the Reference tab is in focus. On this tab you can see all the references that have been coded at the node. 1 Displays the name of the file that was coded at the node—including coding information (the number of references that were coded and the percentage of the file that the coding represents) open the original file, click the file hyperlink—underlined in blue. 2Displays the first reference that was coded in the file—including the percentage of the file that the reference represents. For example, a coded section might represent 80% of the overall document—this would indicate that most of the file has been coded at the node. 3 The Summary tab lists of all the files that have been coded at the node. If the node has aggregation turned on, the content will also include all the references from child nodes. You can find specific words or phrases in the node. The percentage of characters coded at the node. The percentage of characters coded (as text selections) at the node, and the percentage of the page area coded (as region selections) at the node. The percentage of characters coded at the node—only characters in codable columns are counted when calculating the percentage. The timespan of the transcript row is used to calculate coverage. So, if a row has a five-minute timespan and only the first sentence is coded to the node, the coverage is based on five-minute duration. If a transcript row is not associated with a specific timespan—in other words, if timespan field for the row is blank— the coverage is calculated as 100%. The region of the picture that corresponds to the entire log row is used to calculate coverage. So, if a row represents a region that is 25% of the entire picture, no matter how much content in that row is coded to the node, the coverage is always 25%. If a picture log row is not associated with a particular region—in other words, if the region field for the row is blank—the coverage is calculated as 100%. NOTE If the node has aggregation turned on, then coding at any child nodes is included when calculating coverage. As you review the references in the node, you may want to view more of the context, or make changes to the coding. Select the reference within the node. On the View tab in the Detail View group, click Node. Select the amount of context you want to display (for example, Narrow or Broad). When you explore the content in a node, you may want to change a reference to code more or less of the content surrounding it. You may want to display the context around a reference before you decide to code it. On the Analyze tab in the Coding group, click Spread Coding and then click the required context. 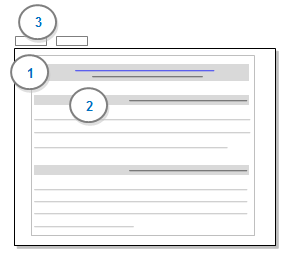 In the Reference pane, click the hyperlink for the file that you want to open—hyperlinks are underlined and displayed in blue. In Detail View, select the content you want to uncode. On the Analyze tab, in the Uncoding group, under Uncode Selection At, click This Node.